Description Fans connected to Sys_Fan 1 (4 pin) and Sys_Fan 2 (3 pin) are controlled at the same time by "Speed01" with no problems. Fan connected to CPU_FAN 4 pin connector has no fan speed control by "speed02" and "speed03" regulators. I can confirm this as well. I have a P7P55D EVO and I have the same behavior. Please let me know if I can post any readings to help resolve this. Confirmed, CPU fan cannot be controlled on P7P55D-E, runs at 100%. SMART requires running with admin rights. Changing PWM Output to DC Output cause of constant 100% CPU fan speed. Chassis Fans are ok - under Speedfan's control. Usually on Asus motherboards it is only possible to control a PWM(4pin)-fan on the CPU_FAN header. Do you guys all use a 3pin-fan on the CPU_FAN header? By the way, the HDD data (temp and SMART) can only be accessed if Speedfan is running with admin privileges. I don't use 3-pin fan on the 4-pin CPU-FAN header. Fan is 4-pin, PWM. All connected rightly and Asus BIOS Q-Fan controls all fan speeds properly. CPU fan speed control Still doesn't work with SpeedFan 4.41 beta 15. I can confirm: No fan control at all in beta 15, same error message. Is this fixed in the final version? My guess it isn't since Alfredo didn't seem to care enough to even acknowledge this problem. No, it is not fixed. Unfortunately. You should disable QFan or SmartFan in BIOS (set speed to maximum or fixed ratio), set all "speeds" to "manual control" in Advanced tab. And - disable or remove Asus Q-Fan. thanks, but it doesn't help. Fan speeds still don't change in 4.42b2. Why aren't you even acknowledging this Alfredo? I realize SF is a freebie but a non-working freebie is of no use to anyone. Instead of adding new stuff, fix the things that are broken. Older versions of SF change speeds just fine. Obviously you broke it in the newer versions. Guess I'll be on 4.40 for a very long time. I fully agree. Sorry for the delay. I had to do so many things together, but now I want to get this fixed. I finally found a report from an Asus P7P55D-E PRO. It has the W83667HG-B. I worked very hard on this chip during the previous months. This means that, even if I didn't ack this issue, I was actua working on it. It was very difficult to get the correct documentation as there were several mistakes in it. I tested support for the W83667HG-B myself. If it is not working on your Asus then something else might need to be changed to make it work. The first step is to enter CONFIGURE / ADVANCED and set PWM MODE to MANUAL PWM CONTROL. Make sure that on the main window you can actually change the correct percentages as your system might have more than 6 of them and the useful one might be hidden. I have a Asus P5Q-Deluxe, which also uses the W83667HG, both CPU and case fans could be changed in 4.40 and the 4.41 betas. Since 4.41 (inc. 4.42 betas) I have lost the ability to control the CPU fan, the case fans can still be controlled however. This implies something has been broken between the 4.41 betas and the 4.41 official release? I have downgraded to 4.40 to get everything working again. EDIT: Strange, speedfan detects the controller as a W83667HG, but the program HWMonitor detects as a W83627DHG. Any tips on how to identify which one is correct? One way to identify the right chip would be to just look on the motherboard Darkmaster, it should have the Winbond logo on it and the part number. Not sure whereabouts it is located though. I'm talking about an ASUS P7P55D (PollyGrey already mentioned). 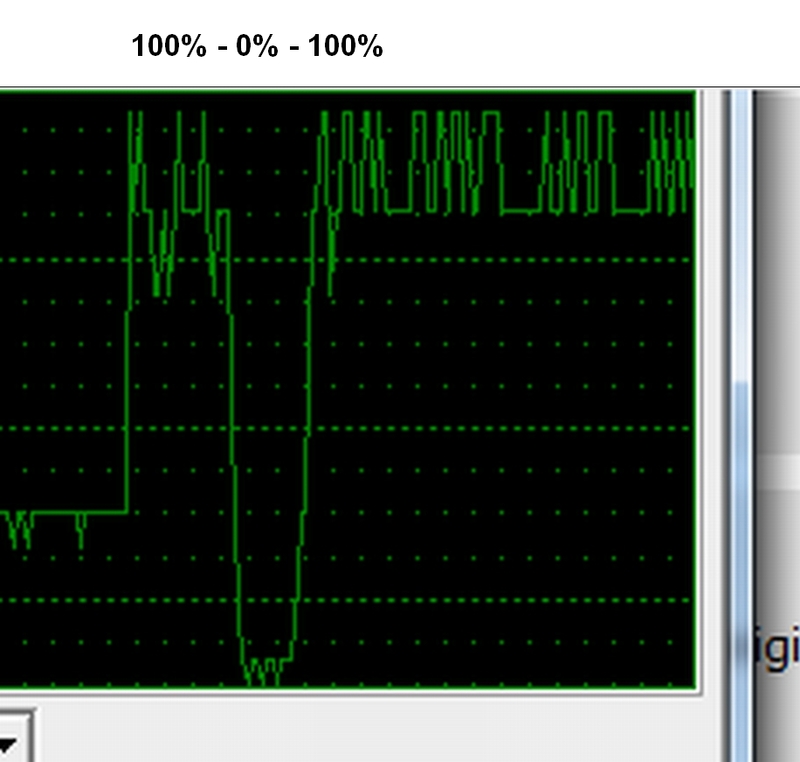 SpeedFan detects Winbond W83667HG-B, but CPU-Z gives me a Winbond W83667HG-A. Looking on the board (upper right) is written Winbond W83667HG-A, too. Which $ID's have the -A and -B ? because I tried with SpeedFan 4.40 but was still not able to control CPU fan. but if so (I would appreciate) I would like to help as much as I can. I'm adding note into this issue, because this one seems to be most progressed. Could be merged with ID 1543 and, as far as it belongs to ASUS P7P55D, also ID 1627. SmartFan is not able to (set and) control CPU_FAN. Even if PWM MODE set to MANUAL. CPUz says W83667HG-A / W83627DHG. Fact is the Chip-ID's are Vendor: 0x5CA3, Chip: 0xB3, Revision: 0x53, I/O address: 0x2E. "Winbond Nuvoton NCT5571D (id=0xb3, rev=0x53) at 0x2e". Support for W83667HG has been fixed. Contact me if you want to try the latest beta. I have a beta ready for all the user with a W83667HG-B (like on the Asus P7P55D). If you want to test it, contact me by email. - When I try to change the PWM Mode from SmartFan IV to Manual or vice versa, it often goes back to the former value. "Remember it" is activated. - When I close the Advanced Options Dialog and open it again, everytime there are other PWM Modes set. CPU Fan is still not controlable. Anybody else tested the new beta? Have you tried QFan enabled? Support for W83667HG is fully verified and works like a charm. Now I'm testing W83667HG-B. Did you send me a SEND REPORT after your tests? @alfredo: Just sent you a report with qfan enabled. Should I sent you one with qfan disabled? Can someone please tell me his settings in speedfan and bios? I just sent you a new beta. Unfortunately the datasheet contains a serious mistake that I already reported months ago. If I properly coded the relevant procedures, now you should be able to consistently select MANUAL PWM MODE regardless of the original QFan setting. just testet the new beta. - Manual PWM Mode setting is now stored consistently, works! Thank you. I will check. Consider that a PWM often is not allowed to stop. Here you can see, what I mean with non linear. Same the way back to 100%. Wow, that's a great Christmas present! control CPU fan, too, on an ASUS P7P55D. #EDIT: I previously posted a problem with Speedfan checking the signature which took here 2x30sec. But this was a problem of my (Test-)Computer. On the production one, it is working perfectly.